Tapestry is looking for ONE TENOR (male singer) to join our 2018 programme and beyond. 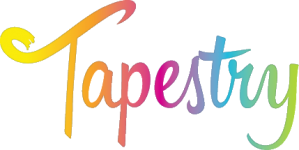 Tapestry performs a wide range of music genres ranging from spirituals, contemporary pop, jazz, blues, gospel, music theatre and rock which are sung a cappella or with music accompaniment in four to eight part harmonies. Performances include corporate gigs, open mics, cabaret-style concerts, and fully staged music productions. Committed Christians, already regularly attending a church, who want to pursue singing and music at a higher level on a long-term basis. Strong vocalists, who are able to perform solo lines or songs. Have a strong sense of rhythm and able to keep time. Preferably able to read music but exceptions will be made to candidates who demonstrate the ability to learn harmonies quickly without being able to read notes. Comfortable and independent enough to sing in harmony and a cappella. Available to attend all Tapestry rehearsals and performances. Be willing to learn and improve on all facets of performance, including singing, acting and dancing/movement. To apply, please fill in the form HERE.